Dizziness is a common problem ranking in the top three of patient complaints of primary care doctors and emergency departments. It occurs in nearly a third of all individuals. There are a wide variety of causes of dizziness, many of which can be treated successfully through our chiropractic care. When someone is dizzy they can feel like they are spinning or that the room is spinning; it can cause imbalance, lack of coordination, and light-headedness. In most cases when the person feels a ‘spinning’ sensation or imbalance and lack of coordination, it is caused by a dysfunction of the vestibular or central processing systems. There are specialized techniques that Georgia Clinic of Chiropractic can provide the patient with. Another common cause is if there is any problem in the cervical spine (neck) of the individual. This is called cervicogenic vertigo. Oftentimes, nerve irritation in this area of the body can cause dizziness. Chiropractic care has shown tremendous results in relieving nerve pressure and irritation in the neck and spine which can help with this type of dizziness. The general sensory system including motion, pressure, and position (proprioception) sensors in joints, muscles, and skin. These three systems continuously feed information to the brainstem and brain about our position in space relative to gravity and the world. The brainstem connects the brain to the spinal cord. The brain, in turn, processes these data and uses the information to make adjustments of our head, body, joints, and eyes. When all three sensory systems and the brain are properly functioning, the final result is a healthy balance system. Benign Paroxysmal Positional Vertigo (BPPV) is another cause of dizziness that can be treated with conservative measures that we offer in our office. Most chiropractors are trained in what is known as an Epley Maneuver that has an excellent track record of helping with BPPV. This maneuver consists of positioning the individual with BPPV in specific positions that ‘resets’ the problem in the inner ear which can cause dizziness. Regardless of what is causing vertigo, as Vertigo Specialists and Augusta GA chiropractors, we can help. This help for most people come in the form of treatments that the specialized chiropractor can do while others can be referred to other health care professionals for help. Dizziness can be extremely troublesome to the individual experiencing it, but it can also be helped for the vast majority of those individuals as well through our chiropractic care. As experienced chiropractors in Augusta GA, we also use super pulsed laser therapy in conjunction with your treatment for vertigo, and have had excellent results with our unique treatment protocol. The laser stops inflammation within the nerve cells and neck muscles. This stops the cause of the vertigo and helps the symptoms of spinning go away. 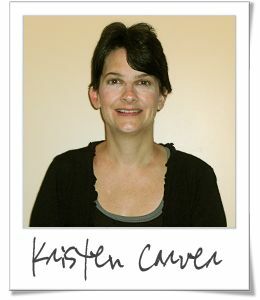 Having seen other doctors for her headaches and vertigo, Kristen wasn’t able to find someone who could help her with her condition. With Georgia Clinic of Chiropractic’s customized care, she was finally able to get the results she was searching for. I have suffered for years with headaches, vertigo, allergies, asthma, a stiff neck, back pain, irritable bowel syndrome as well as having pain and numbness in my arms and legs. This was affecting my life because I was not able to function as well with having the vertigo and headaches several times a week. I had even seen many doctors and have had numerous tests and scans done with no solution ever found for my vertigo and headaches. Now since getting treatment at Georgia Clinic of Chiropractic my vertigo and headaches are completely gone, and the rest of my symptoms have greatly improved as well! I feel much better and can continue doing things I was not able to do for years. I sleep better and I feel more relaxed. I highly recommend the clinic and have even brought my two young boys for chiropractic care. I can’t say enough about the care and how thorough me and my boys were evaluated and cared for. We all enjoy coming for our adjustments. The staff is excellent and friendly, very caring and professional. We just moved here from out of state and I am very thankful to have found such an excellent doctor. The Georgia Clinic of Chiropractic Blog is written by Dr. Mark Huntsman. Augusta GA Chiropractors Georgia Clinic of Chiropractic provides customized care. Visit our main website at www.georgia-clinic.com for a chiropractors in Augusta GA and a chiropractors in Evans GA that provides customized treatments..
You can schedule your appointment by calling our friendly staff at (706) 814-5053 or use our online form. Can Chiropractic Treat Pes Anserine Bursitis? Chiropractors in Augusta GA and Chiropractors in Evans GA offering personalized treatments for each individual patient.